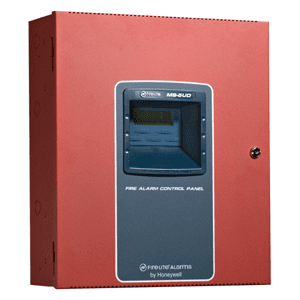 PRO Central Fire Alarm Monitoring? Here at GeoArm, we have been monitoring commercial fire alarm systems throughout the United States and Canada since 1999. In addition to our services providing 24 hours a day professional monitoring by our nationwide ETL listed central station, you will also have access to our staff of fire alarm technicians. In the event of any issue that may arise with your commercial fire alarm system, our knowledgeable staff is here to offer you the telephonic support you may need to figure out the solution. By signing up for our commercial fire alarm services you are receiving the 24/7 professional operator monitoring for your properties fire alarm signals only. Please note, that if your property also requires onsite inspections by your local authority having jurisdiction (AHJ), then you are responsiple for making the appropriate arrangements. We are not able to provide the fire monitoring for Underwriters Laboratories (UL) listed fire systems which require annual certification and/or inspections. With countless years of commercial fire alarm experience, our customer service agents are Fire Alarm System Agent (FASA) certified, trained and experienced. Have peace of mind knowing our employees are drug tested, background checked, and also undergoe certification by the Central Station Alarm Association (CSAA).With GeoArm, you can take advantage of our discounted commercial fire alarm monitoring rates, and receive the high-quality technical support that you may need. *Please Note: Unfortunately, we do not provide commercial fire monitoring in the State of Texas ("TX") and the City of New York ("NYC"), as these areas require the monitoring company to be located nearby to provide onsite tech support and/or runner service.